The location of this place is amazing. Vivian was also fantastic and easy to communicate with Thanks Vivian, we had a great time.. 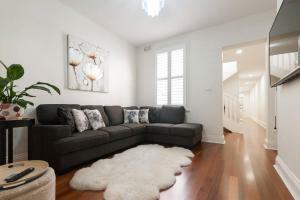 Location, walkable to Darling Harbour, the Rocks and shopping! Location was great. The place was clean and modern. Nice touch with the goodies in the kitchen. Great location with easy access to city, Rocks, Circular Quay and Barangaroo. Spacious. Nd comfortable. Superbe maison, décoration très réussie, lits supers confortables, et localisation parfaite, à 10 mn à pied de circular quay et 5 mn des Rocks. Je recommande absolument ! 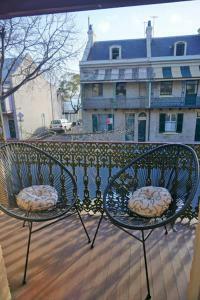 Lock in a great price for The Rocksberry – rated 9.4 by recent guests! The Rocksberry This rating is a reflection of how the property compares to the industry standard when it comes to price, facilities and services available. It's based on a self-evaluation by the property. Use this rating to help choose your stay! 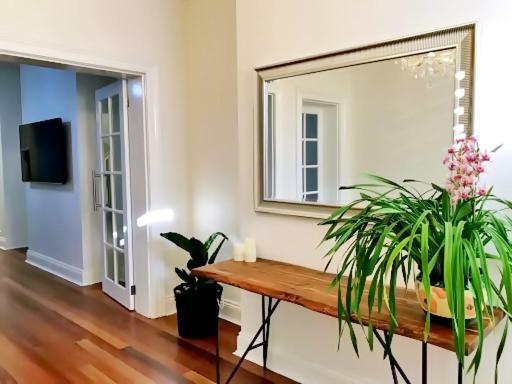 The Rocksberry is located in Sydney, a 19-minute walk from Hyde Park Barracks Museum, 1.1 miles from The Royal Botanic Gardens, and 1.1 miles from Harbour Bridge. Guests staying at this vacation home can use the free WiFi. The vacation home includes 3 bedrooms and a kitchen with an oven and an electric tea pot. A flat-screen TV is available. Art Gallery of New South Wales is 1.4 miles from the vacation home, while Sydney Opera House is 1.9 miles away. Kingsford Smith Airport is 6 miles from the property. 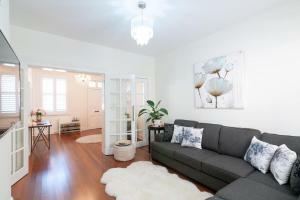 This property also has one of the top-rated locations in Sydney! Guests are happier about it compared to other properties in the area. This property is also rated for the best value in Sydney! Guests are getting more for their money when compared to other properties in this city. When would you like to stay at The Rocksberry? This holiday home has a balcony, washing machine and kitchen. 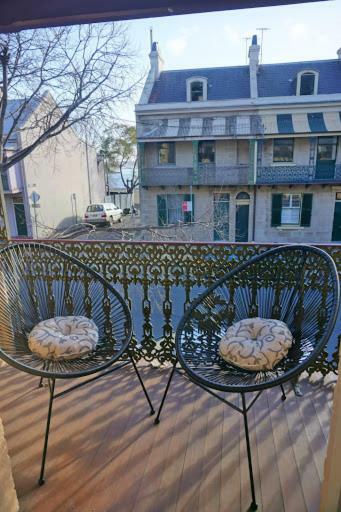 The Rocksberry is an elegant heritage two-storey terrace, which has been newly renovated and refurbished. Our house is situated in The Rocks, on one of the oldest streets of Sydney, with Observatory Hill in our backyard and Barangaroo at our doorstep. Perfect for overseas travelers who wish to explore Sydney and its historical culture or locals looking for a relaxing getaway. Our house is welcoming and filled with light, including balcony water views of Barangaroo bay. Newly polished wooden floors throughout and chandeliers in the living room gives the Rocksberry a classic touch. Downstairs is a large foyer, living room, laundry room/toilet, modern kitchen, dining area and a quaint sun-soaked backyard. 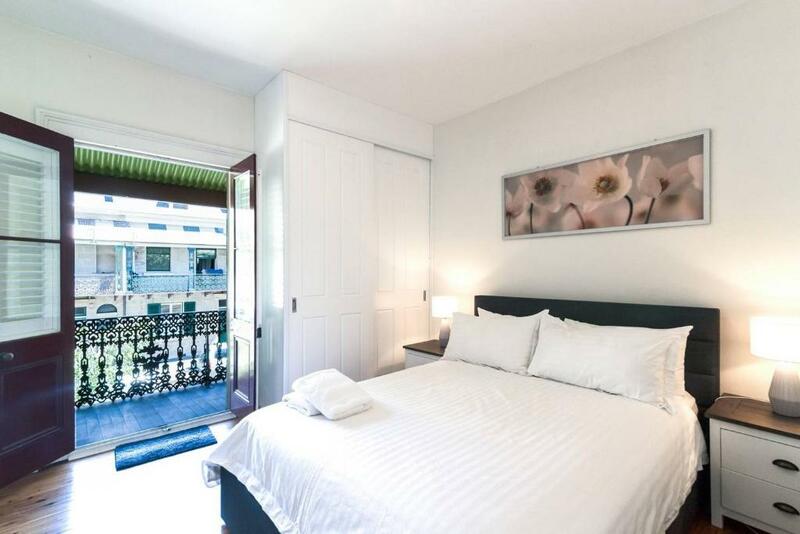 There are 3 bedrooms upstairs which comfortably sleeps 7 with a modern bathroom. All bedrooms are completed with luxurious linen. The kitchen has Caesar stone counter-tops and appliances including Bosch stove/oven and fridge. * Unlimited high-speed Wi-Fi * Large Flat Screen TV * Netflix * Board Games We'll provide everything you'll need for your home away from home. I am a finance professional, born and raised in Sydney. I work in Barangaroo and I am a local in the area. I have a love for travel and have been all across Asia, the Pacific, U.S. and currently have my eyes set on Europe. I am adventurous and enjoy trying new things and meeting new people. Whenever I travel, I aim for beautiful accommodation, as I find that extra piece of luxury truly tops off any holiday. I hope to provide all those who stay at my home, The Rocksberry, the same level of relaxation and comfort. For transport, Wynyard and Circular Quay train station is 8 minutes away from our home or you may wish to take the ferry at Circular Quay to Manly, Cockatoo Island, Taronga Zoo etc. However, my home is in walking distance to Barangaroo Reserve, the Sydney Harbour Bridge, Opera House, and Sydney Pitt Street Mall. The Rocksberry is a perfect location for work or visiting Sydney. It is an easy weekend getaway for families, a hens’ weekend away (Langham Hotel is a 2 minute walk), and get-togethers with friends. 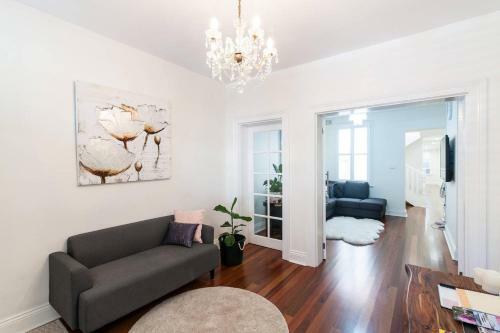 Vivian’s terrace home is located in The Rocks, and is within walking distance to all of Sydney's main attractions such as the Harbour Bridge, Darling Harbour, Opera House, Circular Quay, Walsh Bay and Barangaroo. The location is truly special and unbeatable. The Rocks has many great places to visit, so don't miss out on the weekend markets, walking through the cobblestone streets and look out for cul-de-sacs and sand stone cottages during your stay. Also there are local galleries, museums, historic pubs, cafes and restaurants close by for your convenience. You can also treat yourself to high tea at the Langham Hotel which is only 2 minutes away. With Sydney at your doorstep, it allows each day to be enjoyed fully. 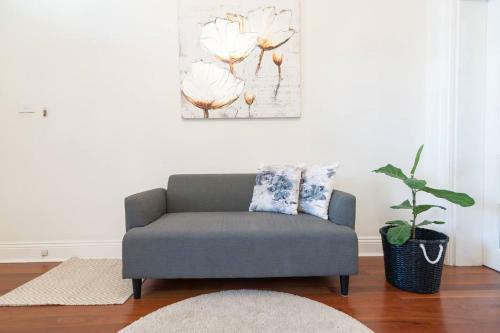 You can live stress-free in this location and take in all of the wonderful things that life in Sydney has to offer. House Rules The Rocksberry takes special requests – add in the next step! A AUD500 damage deposit is required 14 days before arrival (about USD350.58). This deposit will be fully refunded 14 days after check-out, as long as there isn't any damage to the property. A damage deposit of AUD 500 is required. The host charges this 14 days before arrival. That's about 350.58USD. This will be collected by bank transfer. You should be reimbursed within 14 days of check-out. Your deposit will be refunded in full by bank transfer, subject to an inspection of the property. Bathroom a little on the small size but that’s to be expected in old Sydney terrace. We made it work! Extra toilet downstairs helps. Hot water to sink in bathroom also a little hit and miss. Great location, great size for 6 adults. Another bathroom would have been great but not a huge issue given the other obvious advantages of location and value. 5 of us stayed at the Terrace House and only 5 towels were provided. There was no hand towel in the bathroom and no washers. We could have used a couple of extra towels and hand towels. There was plenty of room to relax. A couple of suggestions, a couple of umbrellas, more drinking glasses and wine glasses - The property sleeps 8 so should cater for 8. Perhaps another mirror in front bedroom. Our only issue was that there was only glasses/plates for 4 people when the house can accommodate more.